Getting out into the garden has wonderful health benefits for seniors, people living with disability and those in mental health recovery. Creating a low-water-usage garden is a clever way to achieve a garden at home that you can be proud of. 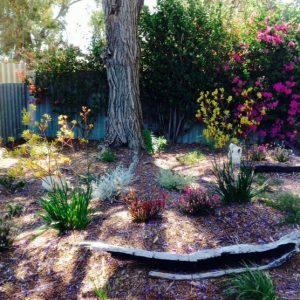 Western Australia’s dry climate and poor soils make a Water Wise garden — made up of locally sourced native plants — a good choice for a low-maintenance and environmentally sustainable garden. Chorus is the only not-for-profit organisation in WA qualified through the WA Water Corporation in its Water Wise Program principles. All of our 80 full-time gardeners are trained and hold specialist Water Wise landscaping and garden maintenance accreditations. We also have more than 500 gardening volunteers. Both our staff and volunteer gardeners work with customers who often are experienced gardeners themselves but need help with some of the tasks. These customers could be receiving aged-care, disability or mental health services. was important because it “shows what is possible and gets the message across about the benefits of gardening”. Check out the award-winning Kaleidoscope Sensory Garden, which was designed for those living with dementia, and their families. 1. Always use Water Wise plants. Buy WA natives that are sourced locally because they have been grown in the same soil type you will be planting them in. Ask your local nursery which of their plants have been sourced from WA. 2. Prepare your soil. Give plants the best possible start by including soil amendments like clay, which turns sand back into loam (e.g., bentonite clay). Also, add granular wetting agents and complete trace elements (e.g., iron, magnesium and boron). Add a small amount of compost or soil conditioner to the soil. 3. Add slow-release fertiliser for natives. Use little and often, rather than a big batch at the time of planting. The fertiliser should go on top of the ground just before mulching, not be mixed with the soil. Ensure your fertiliser suits the plant. 4. Mulch the garden. This is an important step in WA where the sun bakes the soil. Use a coarse, chunky mulch like chipped local trees. Add around 100mm of mulch to allow water through but avoid weed growth and prevent evaporation. Avoid fibrous mulches like jungle mulch, peat and Karri because they have fine fibres that absorb water. 6. Consider hydrozoning. To save water and allow plants to thrive, place plants next to others that have the same water requirements. For example, don’t mix a native garden with a rose garden. Roses are thirsty plants and need lots of fertiliser, which is not good for natives. 7. Embrace companion planting. We need to encourage native insects, wasps and bees to visit and not rely on European honey bees to pollinate natives. Placing native plants near complementary species can help with pollination. 9. Do as the locals do. Choose plants that don’t need watering once they are established. Most of the natives Chorus uses come from the WA Goldfields region, the Gibson Desert and the cliffs of Albany. Chorus’s skilled gardening team works with customers who often are experienced gardeners themselves but need help with some of the tasks. Andy said that, on top of the regular trimming, pruning and spraying, Chorus gardeners contribute to local ecology and create gardens people can be proud of, using Water Wise designs. “Our Water Wise champions work one-on-one with our customers to provide great Water Wise outcomes,” he said. 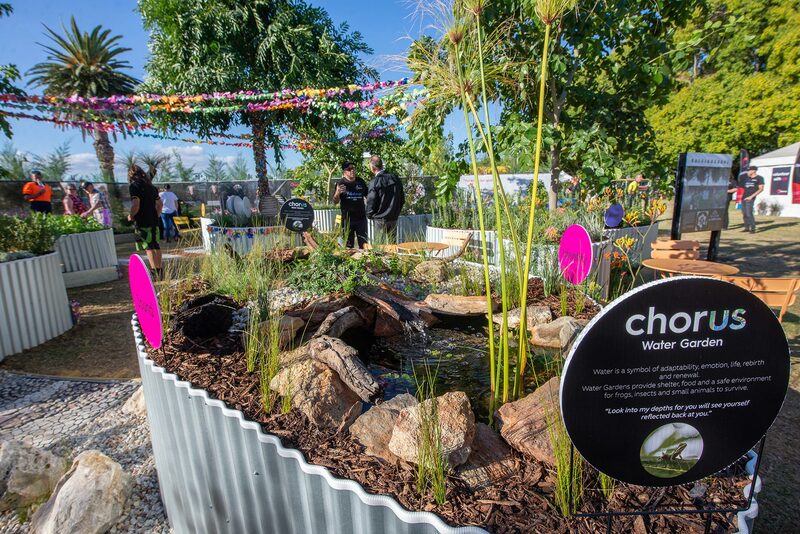 Chorus has two specialised Water Wise champions: Aleisha Blake in the south-west metropolitan area and Rachel Levell in central and northern metropolitan areas. If you’re looking for home care services, including gardening services, for yourself or someone you know, Chorus can help. Get in touch.